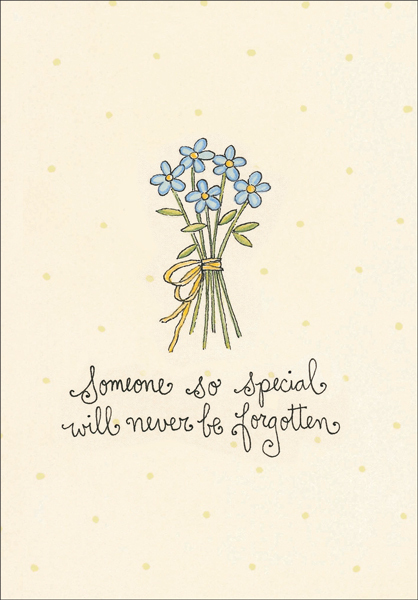 it takes two card and offer peace and comfort. 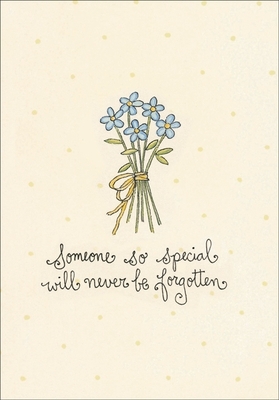 Front: Someone so special will never be forgotten. 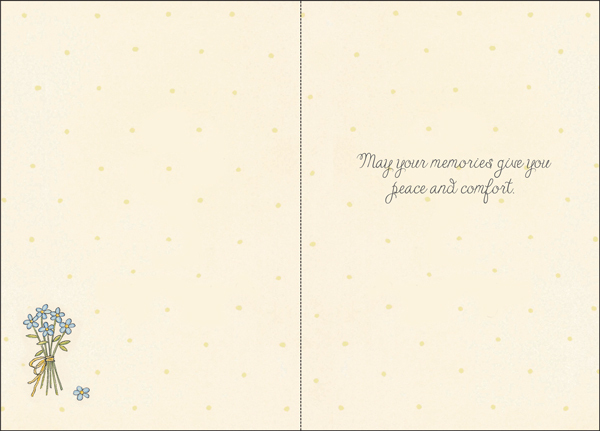 Inside: May your memories give you peace and comfort.